Almost everyone has a mobile phone and uses it to access the internet today. Studies show that an average adult spends close to half a day on their mobile phone. This highlights the reasons why You Should Focus on M-Commerce for the Long-Term success of your business. E-commerce is on the rise globally. Companies without physical stores are making waves in business from utilizing the potential of the internet. There is also a shift from accessing the internet on other computerized devices to accessing it from a mobile. It would therefore be ludicrous for a business to expect that they could continue to maintain their competitiveness while ignoring the influence mobile has on how their customers use and consume information from the internet. The reality is that one should not regard the adaption of m-commerce with a bandwagon approach. You do not just go into mobile commerce because other businesses have ventured into it. 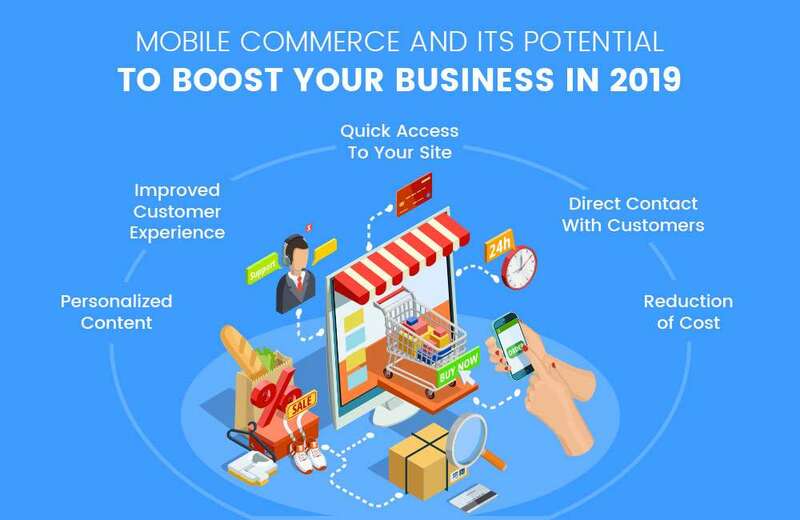 Experts from mobile app development company in USA have pointed out excellent benefits that ecommerce companies stand to enjoy by adapting to mobile commerce. Here are some of these benefits. Part of the requirement for an excellent customer experience is good internet speed. Mobile commerce requires you to develop apps or optimize your website for mobile access. Research indicates that mobile apps load 1.5 times faster than ordinary websites. This means that you adapt to the mobile platform, you have already scored by providing your customer with quick access to your content. Speed is not just meant for browsing through your site. It is meant to enable the visitor to buy faster. The checkout process is also hastened. This reduces the chances of cart abandonment and enhances your ability to capture your customer’s imagination. A quick checkout process offers a benefit that e-commerce sites and stores must seek to have. It is the best incentive for repeat buying. The rate of growth in Mobile Commerce in 2019 exceeds the number of customers on any membership list. This means that they found the platform easier to use and therefore always returned for more business. Customers return to your store because of the experience you offer and not necessarily because of good products. A customer will drop your product and shop across the world if the experience they have while accessing your website is nasty. Mobile commerce has brought about a revolution in customer experience in several ways. Speed – mobile apps provide direct access to stores. In fact, some stores provide the option of not logging out. This means that with a tap, you are in the store. Work with an expert mobile app development company in USA that provides quick access to your store to ensure that customers have the incentive to return. Interactive – there is an element of personal space on mobile phones. Apps and websites that are mobile enabled offer customers the opportunity to form social groups and comment on the experience that they have while interacting with your brand. Pop-out messages and push notifications also help to raise the level of their interaction. It is therefore easy to provide them with information in a flash. Convenient – quick access and easy checkout systems make mobile commerce the most convenient way to shop. One can shop from states across and still get goods delivered. Shoppers crave this convenience. Apps and mobile-enabled stores are easy to use. This simplicity added to the time saving they provide makes shopping enjoyable. If you were unable to provide such an experience, buyers would run away from your store. This begins with the fact that shopping and conversations take place over the phone. There is a personal space associated with phones. They have passwords and other security features on them. That means that you are the only person with access. This is a magical feature for buyers from the present day generation. Push notifications are the other platform where mobile is winning over traditional website. While you can send emails and other marketing messages from an ordinary website, you do not have the option of a push notification. Such notifications are un-obstructive and instant. Notifications as one of the most competitive trends for Mobile Commerce in 2019, as they are used for thought leadership. Though the customer might not buy at the moment, he or she is aware that such a product or service exists. When it is time to make the decision, the customer will already have interacted with information about your product. Yours will be the product of choice. The information sent to customers is direct and fresh and can include updates on new products, deals and promotions. It becomes impossible for a client to escape the attraction to such deals. Mobile applications are helping companies to observe patterns and predict future shopping behavior. You can tell his or her favorite services or products and therefore prepare content that is specific to such a customer. This gives the buyer an impression that you understand and care about their needs. There are features on mobile apps that you can utilize to help prepare and deliver personalized content. They include user location, profile on social media, interests, activity and many other details. Customers love messages that are personalized. The reason You Should Focus on M-Commerce for the Long-Term is that you can gather information in real time and even make recommendations live. Such closeness to what the customer is looking for will enhance loyalty and confidence in your brand. With a satisfied customer, you increase the chances of referral. M-commerce also benefits your business. It is normal to consider the increase is business because of the above benefits but the overall cost of reaching the customer will reduce significantly. The quick and customized messages you send your customers means that you reach them clearly, fast and more effectively. Reduced cost means more profit on your side. Mobile commerce is one of the most effective e-commerce trends today. The benefits of adapting to Mobile Commerce in 2019 will include an increase the number of your loyal and return customers. Since it also increases the ability to get feedback, you will gradually improve the delivery of services to your customers. You should collaborate with a professional mobile app development company in USA as they are equipped to provide you with a personalized solution.